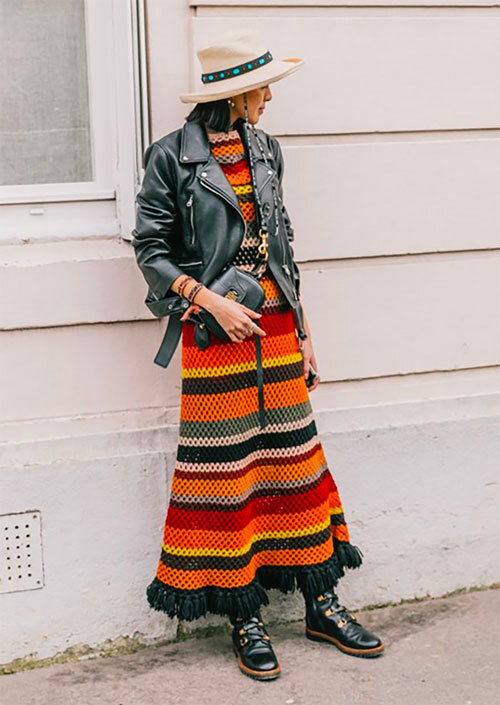 Even though spring hasn't yet sprung in my neck of the woods, I'm still slipping into my new warm-weather dresses, layering them with transition-smoothing pieces like light leather jackets and sneakers (similar to pics here). My latest favorite frocks include this flowy Isabel Marant (above, also here), this feminine Ulla Johnson, this crochet Mango, this slip-like Topshop, this asymmetrical Keepsake and this chiffon Mes Demoiselles maxi. Any info on the gorgeous striped crochet dress? ?